ANOTHER TT national, Azeeza Williams, 34, of Rio Claro, is believed to have faced a judge in Iraq two weeks ago and sentenced. Mohammed, 74, is Imam of Boos Village jamaat and Azeeza’s mother, Aneesa, 54, is his daughter who had a court hearing early last year and was sentenced to 20 years in jail for entering Iraq illegally to join ISIS. Her husband, Daud Mohammed, 56, is feared killed. 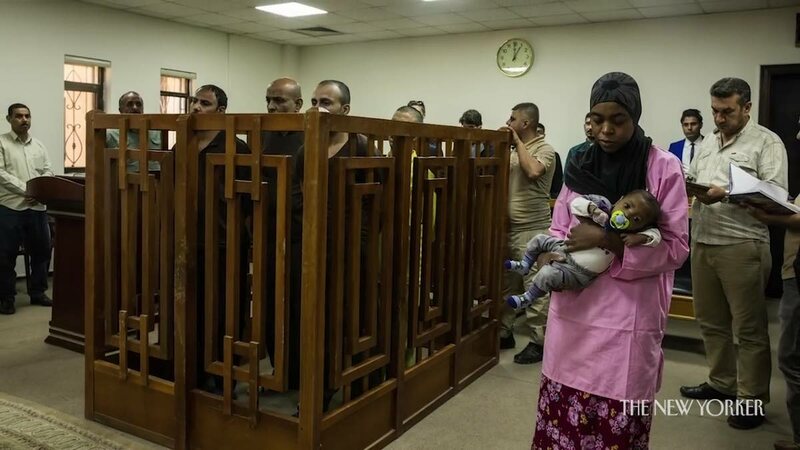 Mohammed’s two other granddaughters Sabirah Mohammed Kumar, 24, and Aidah Mohammed, 28, who are Aneesa and Daud’s children as well, have had similar court hearings and are holed up in Iraqi detention centres. Mohammed told Newsday yesterday that his last telephone conversation with Sabirah was two weeks ago. But, he said, she was unaware of Azeeza’s court appearance. Sabirah is allowed a telephone call twice a month to speak to her grandfather. However, a photograph in the New Yorker online newspaper published on Christmas Eve headlined “Iraq’s post-ISIS campaign of revenge,” by reporter Ben Taub highlights the court trials of hundreds of men and women from various countries who migrated to fight for ISIS. Taub writes, “Thousands of men and boys have been convicted of ISIS affiliation and hundreds have been hanged. But these cases make up only a small fraction of the detainees. “Thousands of families have been sent to camps in the desert, cast out from society. He gave an account of trials he witnessed which lasted not more than four minutes. The judge passed sentence of death on men who said they were tortured to sign confessions and blank paper. Taub made no mention of Azeeza in his article, but speaking to Newsday yesterday, Mohammed said, “I believe there was a hearing recently, but Sabirah, when I talked to her two weeks, looked like she didn’t want to tell me. What harm can women with little children do? Former legal advisor in the prime minister’s office Nafeesa Mohammed, has appealed for government’s intervention on behalf of the women and their children who are holed up in Iraq. Reply to "Trini mother faces Iraqi judge"